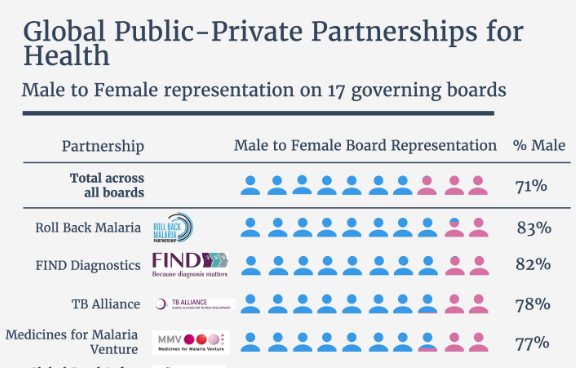 On 12 May 2017, a peer-reviewed journal article about the gender focus of global public-private partnerships for health was published in Globalization and Health, an open access public health and wellbeing journal. Researchers Sarah Hawkes of the University College London, Kent Buse of UNAIDS and Anuj Kapilashrami of the University of Edinburgh, identified 18 Global Public Private Partnerships for Health (GPPPH) – defined as global institutions with a formal governance mechanism which includes both public and private for-profit sector actors – and conducted a gender analysis of each. 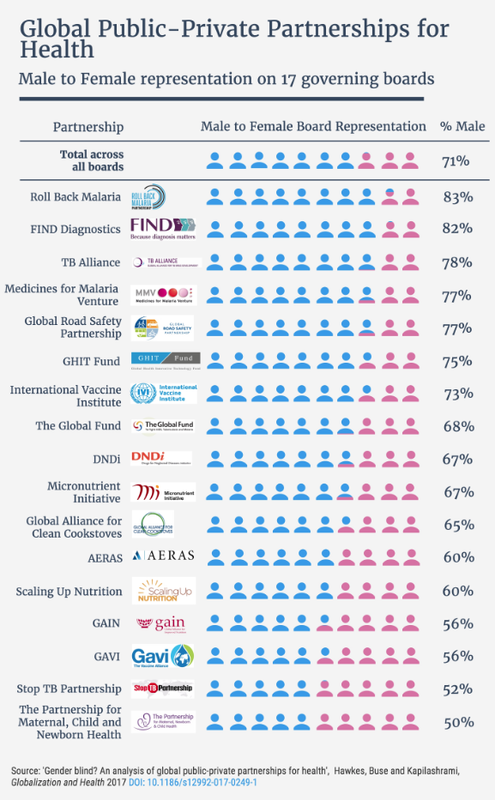 Their analysis included the Scaling Up Nutrition Movement, in particular, country level efforts captured in the SUN Movement Annual Progress Report. 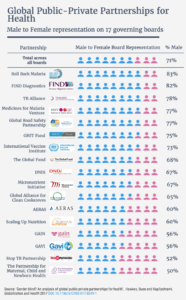 They found that gender was poorly mainstreamed through the institutional functioning of the partnerships and that none addressed non-communicable diseases (NCDs) directly, despite the strong role that gender plays in determining risk for the major NCD burdens. The researchers conclude the study with two recommended areas of action.